* Note: Pachelbel’s Canon is the name commonly given to a canon by the German Baroque composer Johann Pachelbel in his Canon and Gigue for 3 violins and basso continuo (German: Kanon und Gigue für 3 Violinen mit Generalbaß) (PWC 37, T. 337, PC 358), sometimes referred to as Canon and Gigue in D or simply Canon in D. Neither the date nor the circumstances of its composition are known, and the oldest surviving manuscript copy of the piece dates from the 19th century. Johann Pachelbel (baptised September 1, 1653 – buried March 9, 1706) was a German composer, organist and teacher who brought the south German organ tradition to its peak. He composed a large body of sacred and secular music, and his contributions to the development of the chorale prelude and fugue have earned him a place among the most important composers of the middle Baroque era. Syntheway Strings is a rich-sounding sample based string VST instrument. Features an ensemble strings with Violin, Viola, Cello & Double Bass. – Multiple-Mode Filter. Includes LP (Low pass), BP (Band pass), HP (High pass), notch, peak, low pass and high pass shelving filter with adjustable cutoff and bandwidth. The values are automatically computed when you select any of the filter types. – ADSR envelope generator. Attack, Sustain, Decay and Release parameters and several modulation targets. – Multisampled Strings Ensemble (Violin, Viola, Cello, Double Bass). – All samples have been hand edited with painstaking attention to sonic fidelity, usability and noise levels. Full length sustain samples, no loops (natural decay), stored in 16 bits and 44.100 KHz, providing superb detail for the musician. – Authentic sound based on an intelligent VSTi engine and Sample Playback, which provides virtually unlimited dynamic expression for your performances. – MIDI Automation: Added complete MIDI CC#. – Place the dll file / files into VST Plugins Folder. – 500 MHz Processor (Pentium, Celeron AMD or equivalent) minimum. – RAM: 128 MB or higher recommended. – Windows Operating System : Windows XP, Windows Vista, Windows 7, Windows 8, Windows 8.1, Windows 10 / x86 (32 bit). – For Windows x64 (64 bit) test it first with VST Bridge, jBridge or BitBridge. OS: Apple Mac OS X v10.6 “Snow Leopard”, Mac OS X v10.7 “Lion”, Mac OS X v10.8 “Mountain Lion”, Mac OS X v10.9 “Mavericks”, Mac OS X v10.10 “Yosemite”, Mac OS X v10.11 “El Capitan”. 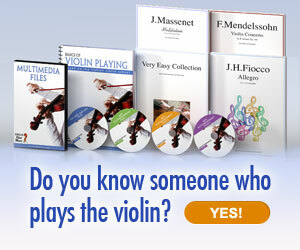 Be the first to comment on "Canon and Gigue in D major (Johann Pachelbel) Syntheway Strings Ensemble VST Plugin"